Dr. Joshua Langston, MD was featured in the latest issue of Hampton Roads Physicians Magazine. 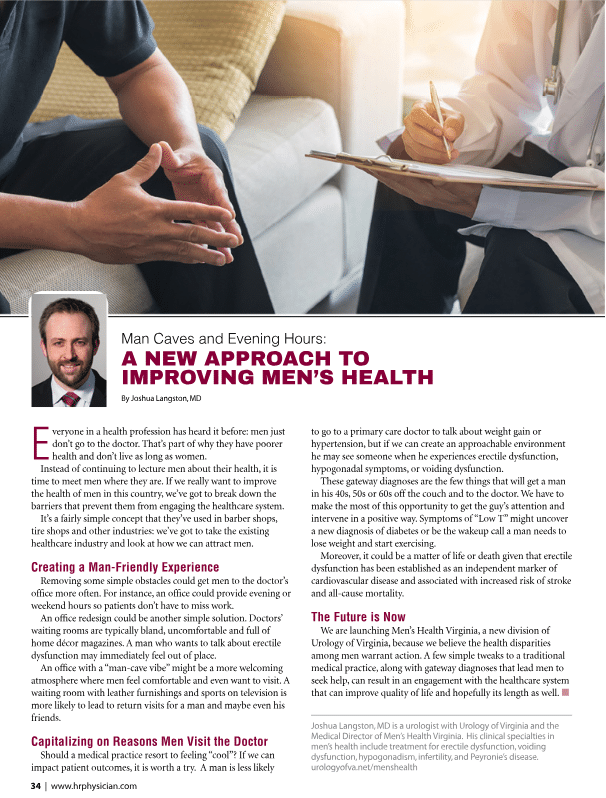 Dr. Langston’s article focuses on the new Men’s Health division of Urology of Virginia. Read the full article Here.